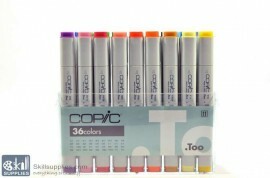 Copic alcohol based markers are one of the most loved markers around the globe for its consistency and color brilliance across the range of artists, whether you belong to product design, automotive, graphic or comics there is one copic for you copic original markers is edgeless squared body with two different – chisel & broad tips -at either side to suit all your style of illustration. 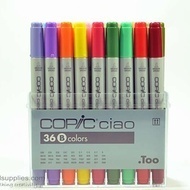 The caps tops are colored to the ink type for easy identification. 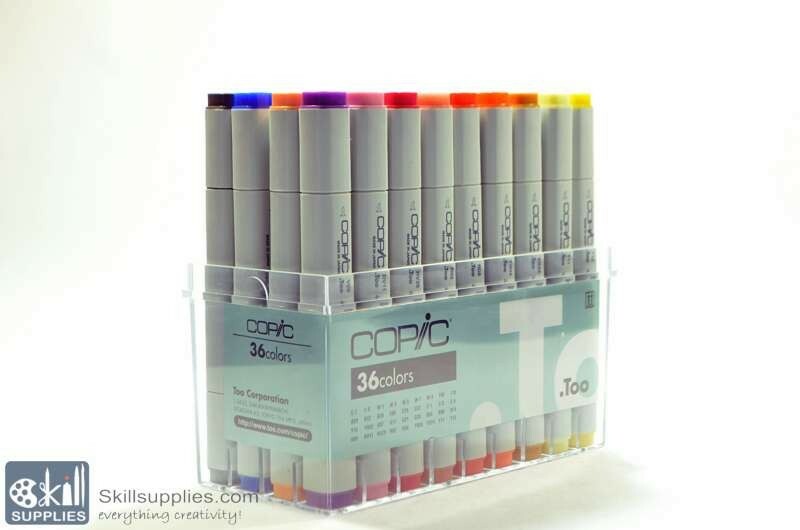 The thin line between cap and body after caps are replaced are of two different colors (dark grey and body grey) for easy identification of tip type without looking for inscription.Packaged in a clear plastic case, a Copic set is the ideal way to begin or add to a marker collection. 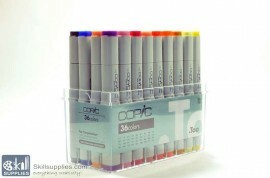 Copic markers are designer’s / artist’s dream. 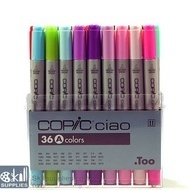 With the range of colors and tones that is not available with any other brand. 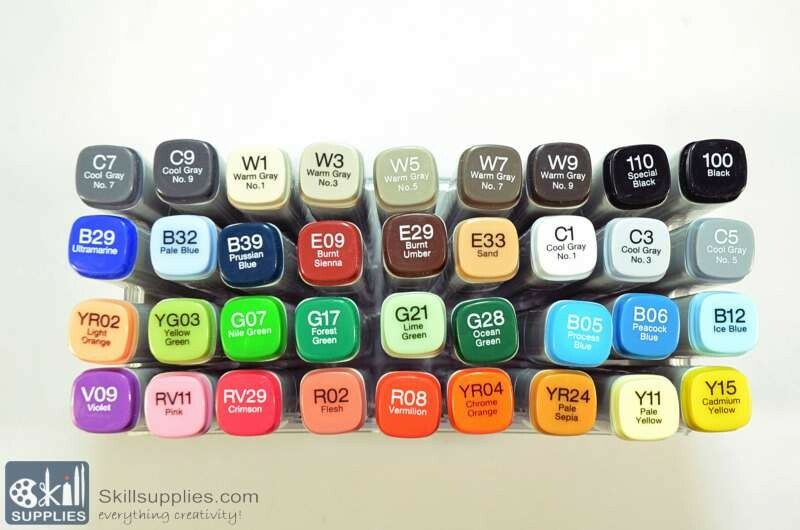 The flow of ink is just right. 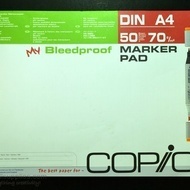 This in turn, means that you can (if you are fast) use these markers on normal paper for primary sketches without much of bleeding. 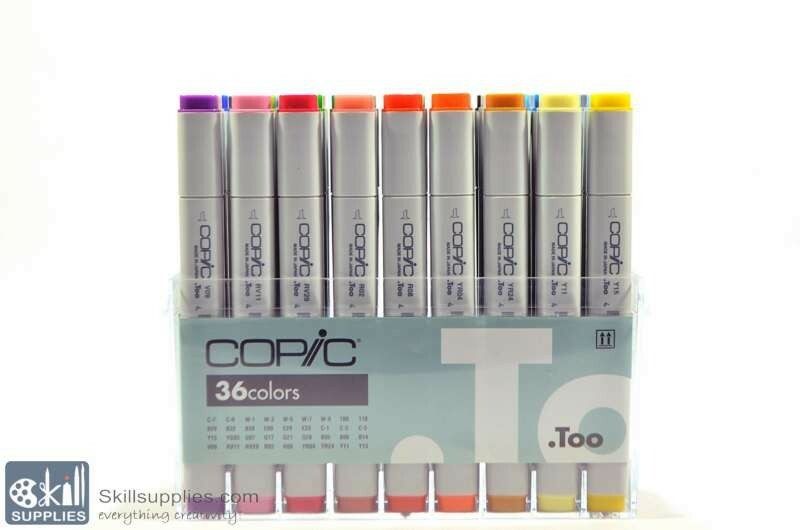 It is not recommended to use directly on ball pen drawings as it will mix and bleed with your lines, one way to avoid is to use pencils or Copic Multiliners, or the easiest way we found it to scan and take print on marker paper. 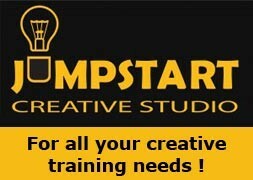 If you are starting off. 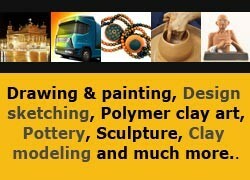 Start with greys and buy yourself alternate nos. in case you are looking for colors, do get a range of same hue (color) instead of different colors with no variation. 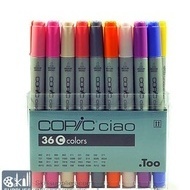 If capped after every use it can last up to 3 years (unless you use up all the ink) so go ahead and keep adding to your collection.